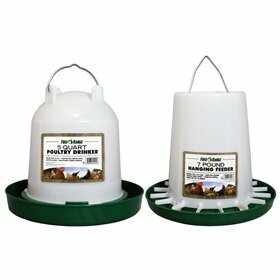 This large flock chicken feeder and waterer kit, designed for up to 24 chickens, is a great value. Save big over buying these items separately! 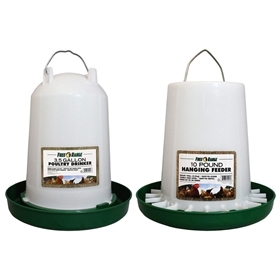 This Combo comes with two Basic Poultry Drinkers and is one of our most popular waterers. They are easy to fill, super easy to take apart and clean, and at 3.5 gallons, each one will serve up to 12 chickens nicely. 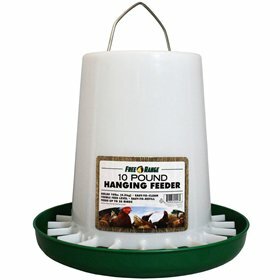 The Plastic Hanging Feeder holds 25 pounds of feed, and is made of highly durable, easy-to-clean plastic. 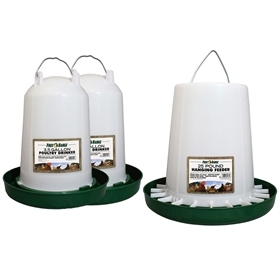 The special, slatted design of the base is time-proven to help prevent birds from scratching out feed, and the open top is designed for quick, efficient filling. 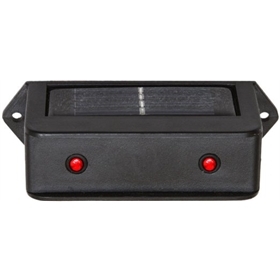 Add on our galvanized Feed Scoop to make it your feeder even easier to fill! 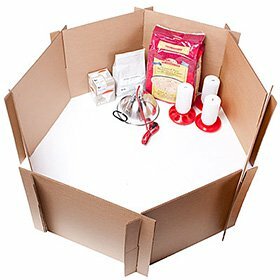 Add on some dried mealworms for an additional savings! Mealworms are our #1 best-selling treat for chickens. These 100% natural, dried mealworms do not need to be refrigerated and they are higher in protein than live mealworms. Give straight from your hand or scatter on the ground. 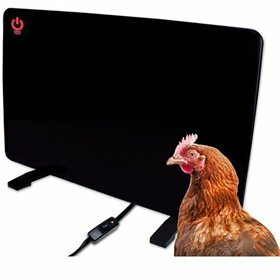 This is a treat that your chickens will absolutely love. 2 cup Feed Scoop: 12"x4"x3"